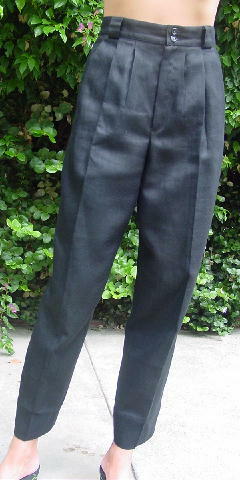 These black 52% linen and 48% polyester pants are by Giorgio Sant'Angelo and were made in Romania. 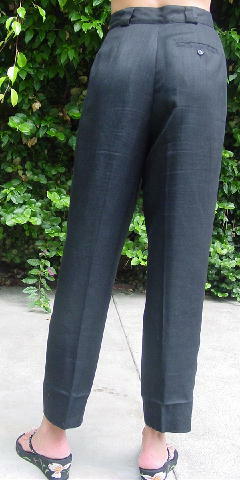 They have a 6 1/2" long front fly zipper, a 1 1/2" wide waistband, and 2 button closure. There is a back 1 button pocket, 2 front slash pockets, and wide belt loops. The tag says size 8 petite, but the leg hem has been taken down. They fit more like a size 4/6. waist to hem 40 1/2"